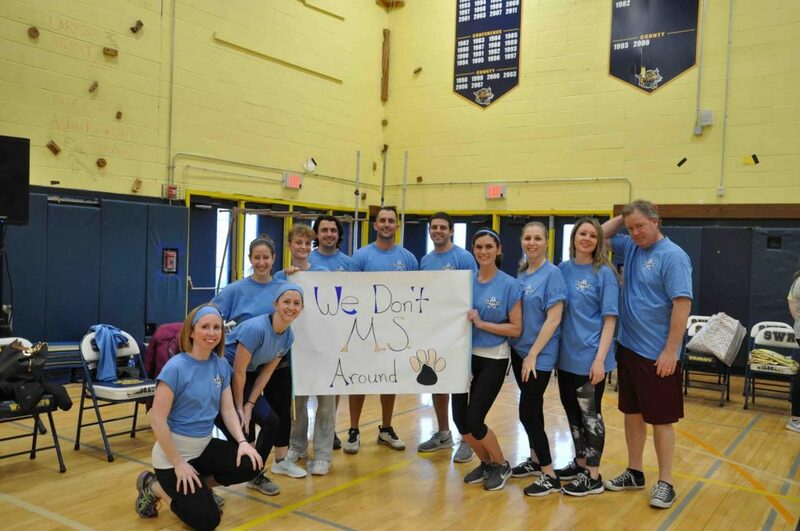 While the Shoreham-Wading River High School boys and girls lacrosse teams competed out on the field during the day, the evening festivities brought out the SWR community of teachers, administrators, students and families for dinner, raffles and games to raise funds for the 10th annual Lax Out Cancer event. The event was another opportunity for the caring community to help support the four selected Suffolk County families who are living with a child diagnosed with a life-threatening illness. Photo caption: Albert G. Prodell Middle School educators and Principal Kevin Vann (right) showed their support of the 10th annual LAX Out Cancer event.